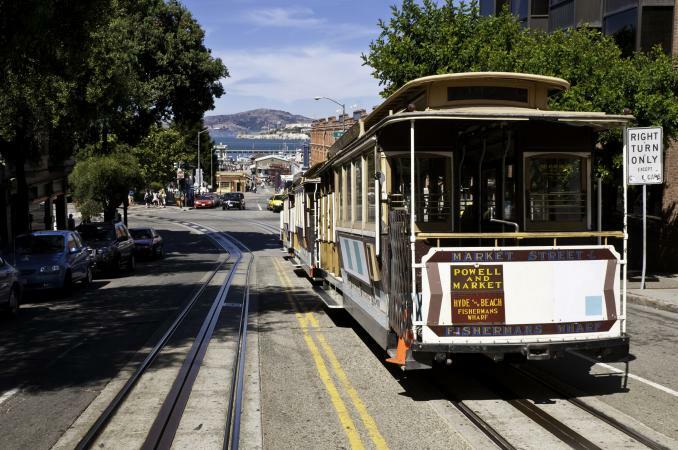 Located just a few blocks from Fishermen's Wharf, the Marina Inn San Francisco is in the heart of one of the city's most popular tourist areas. Noted attractions are just a short walk away, and you'll find some modern amenities without the high price tag you find at most other hotels in the city. The Marina Inn has 40 hotel rooms featuring beautiful bay windows and either a queen bed or a configuration with a queen bed and a sofa bed. All rooms feature Wi-Fi and private baths, and both room types are located on all four floors of the property. Continental breakfast is also included with either room type. Cozy Queen: These quaint rooms offer one queen bed, ideal for romantic getaways or solo travelers. Rates start around $70 a night, not including tax. Deluxe Queen: Good for families with kids, Deluxe Queen rooms are typically a few dollars more than Cozy Queen rooms. While some hotels set aside ADA accessible rooms, Marina Inn notes that the whole property is ADA accessible, and all rooms are ADA-defined service animal friendly. The hotel features round-the-clock front desk staff, 24-hour concierge, a business center, a nail shop, and a barber shop. The Marina Inn has no guest parking, which means you'll need to explore parking garages nearby, which can be expensive in San Francisco. Check various websites like BestParking.com to check what the anticipated fee will be at various parking garages around the city. Some may be as low as $40 per night and go up to almost $100 per night, so factor that into your budget. It is important to find a safe parking location as car break-ins are extremely common in San Francisco and keep going up. As of November 2017, larceny from vehicles was up 26% from 2016. Don't leave anything in your vehicle, and it's best not to rely on street parking. Up to two children, traveling with parents and using existing bed configurations, do not incur an additional charge. Any other guests result in the rate going up by $15 per person. Room rates are cheaper on third party booking sites, so be sure to check sites like Booking.com or Expedia before you book directly on the hotel site. For example, pricing for one night towards the end of January on Booking.com was about $90 total for a Deluxe Queen, while it was over $100 on the hotel's website itself. Ghirardelli Square: This public square and landmark is filled with shops and restaurants, including the Ghirardelli Chocolate Company. 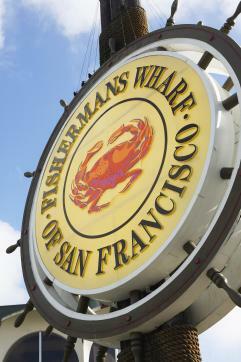 Fisherman's Wharf: The popular tourist neighborhood boasts numerous attractions like Pier 30, Ripley's Believe It or Not, Madame Tussauds Wax Museum, and San Francisco Maritime National Historical Park. There are many places to eat and shop. Don't miss the colony of sea lions next to Pier 39. Alcatraz Island: Tours depart from Pier 33 and take guests on a close-up look at the infamous federal prison. Reviews on sites like TripAdvisor are mixed. The Marina Inn is a budget hotel in one of the most expensive cities, so it's not going to be a luxury high-end experience, which seems to be what some reviewers were expecting. Of the very negative reviews, complaints centered around common areas being dirty and unclean, rooms feeling dated, the elevator not working consistently, the Wi-Fi being slow, and the lack of air conditioning. On the positive side, people love the location, the feeling of a safe neighborhood, and the great price. Some reviewers noted it was under $100 a night while other hotels nearby were over $400 a night. Booking.com users note that the breakfast was lackluster and fairly disappointing. There are similar complaints regarding the need for an update, but reviewers still felt the hotel provided a good value for what they paid per night. Should You Book Marina Inn? 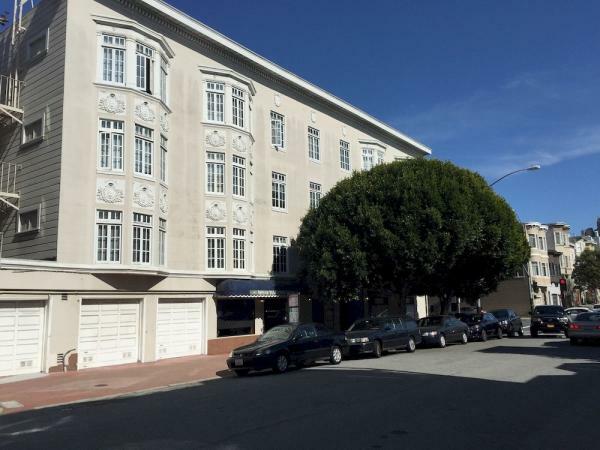 If you're looking for a centrally located budget hotel in San Francisco, the Marina Inn might be the ideal choice. It's in the heart of some of the best tourist areas, and only a short cable car ride away from several others. Parking is something to factor in as that per night charge could make it more expensive than a mid-range hotel somewhere else in town. If you're hoping for a luxury hotel experience, like some iconic San Francisco properties, you are likely to be disappointed. Luxury hotels don't come cheap in San Francisco, so expect to pay three to four times more than the Marina Inn.